Farm supported BioKit in launching its first custom proprietary instrument through which BioKit could establish and enhance its brand identity. Through domestic and international research, Farm determined user needs to design a chemiluminescent immunoassay analyzer which would greatly improve user experience. “User pods” were created, improving user access and optimizing visibility to reagents and patient samples. The quick-access “user pods” also allow the system’s continuous-use feature, which allows the system to run for three hours with full inventory, promoting high system throughput. Farm developed a universal graphical interface. 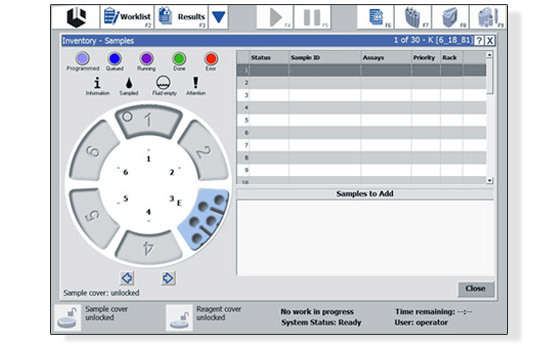 International icons were developed and animated, color-coded, screen graphics were designed so users can determine the status, in real time and real location, of each sample being analyzed from across the room. 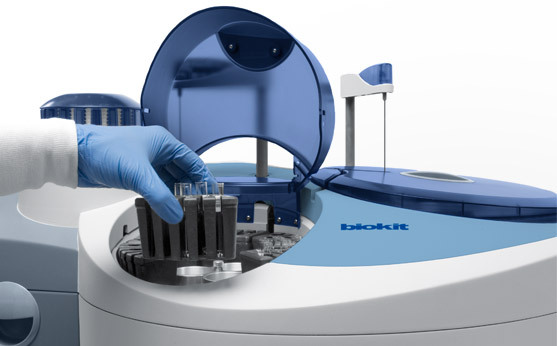 From superior human factors and ergonomics to the intuitive graphical user interface, Farm’s product design propelled BioKit into clinical chemical laboratories worldwide.